Please your diners with this layered flavour-packed salad. The freshness of the apple and the creation of the serving will make this salad as a center of the crowd. Combine ingredients for dressing, stir well and then set aside. Put apple slices into lemon juice and set aside. 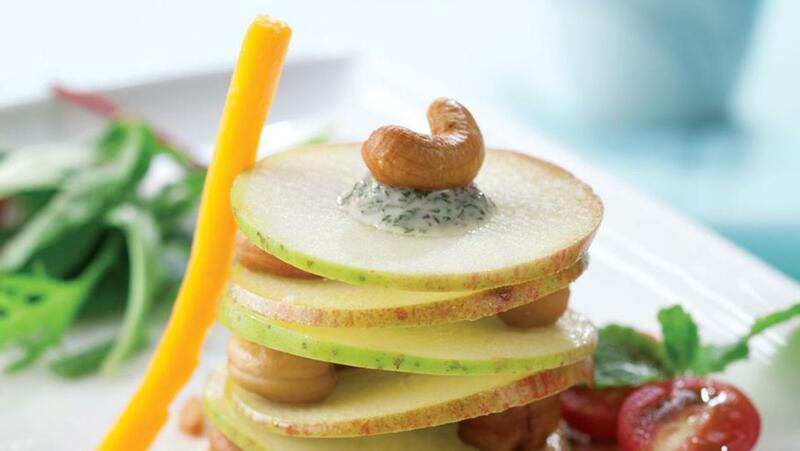 Stacking or mix all salad ingredients, apples, celery, cashews, cheese, masclun, and dressings.